We provide Cognitive Behavioural Therapy for a wide range of psychological and emotional problems including Panic Disorder, Generalised Anxiety Disorder, OCD, Health Anxiety, Social Anxiety, Insomnia, PTSD and Depression. In addition to individual therapy , we provide CBT for work-related stress and couples therapy for people experiencing relationship problems. If you are looking for a clinically proven treatment that is fast and effective, then contact us to work with an experienced and qualified CBT professional. The process is discrete and straight forward and there are no waiting lists. 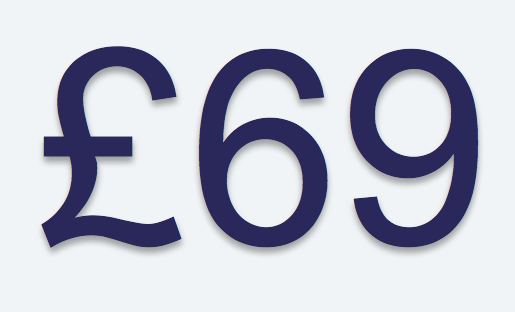 Call us to book a free initial telephone discussion on 01732 808626 or email info@thinkcbt.com. We provide private CBT appointments from our main centres in Sevenoaks and London, with over forty clinics across Kent, Surrey and Sussex. We can usually book an appointment within two working days and we always start with an initial free call to ensure that the approach is right for you. Unlike other larger providers, we don't use agency staff or sub-contractors and we don't top-slice our charges. This means that what you pay for therapy goes directly to your therapist. We understand that our clients require flexibility to meet the needs of work and family commitments. We therefore offer daytime, evening, weekend and SKYPE / video appointments at times to suit our clients. Call us to organise a free telephone consultation with one of our CBT therapists. We understand that making your first appointment can be a difficult step to take. People often struggle for many years before finally deciding to take action to change or tackle the problem. This means that you will be treated with sensitivity, respect, discretion and professionalism at all times. We won’t ask you to join a waiting list, fill in unnecessary paperwork or work with an unsuitable or under skilled Therapist. Most importantly, we will treat you as a valued client and keep the approach simple and straight forward. Check the published facts about why CBT is the recommended Treatment of choice for a wide range of Psychological, Emotional and behavioural problems. CBT is still recognised as the "Gold Standard" in psychotherapy and the latest research supports this. Follow the evidence and make an informed choice before organising other forms of therapy. Cognitive Behavioural Therapy (CBT) is a highly structured and clinically proven treatment for overcoming a wide range of problems including anxiety, depression, insomnia, OCD, panic attacks, PTSD, social phobia, low self-esteem and relationship problems. CBT works by using proven psychological techniques to identify and change the hard-wired connections between negative thoughts, distressing emotions, unhelpful behaviours and physical sensations. CBT is usually applied on a time focused basis, however longer-term therapy is also provided where this is helpful to the client. The research evidence shows that CBT is effective in the treatment of long-term conditions rooted in childhood experiences, as well as short-term problems triggered by recent situations or life events. The published research evidence demonstrates that CBT is highly effective in the treatment of a wide range of psychological problems including depression, anxiety, panic attacks, OCD, social phobia, PTSD, eating disorders, chronic fatigue, anger problems, low self-esteem and specific phobias. Evidence from a large number of research trials, consistently demonstrates that CBT is more effective than other forms of therapy or counselling, matching or outperforming antidepressant medications for anxiety and depression related problems. According to the Royal College of Psychiatrists, CBT is “The most effective psychological treatment for moderate and severe depression,” “It is as effective as anti-depressant medication” and “It is one of the most effective treatments where anxiety and depression is the main problem." 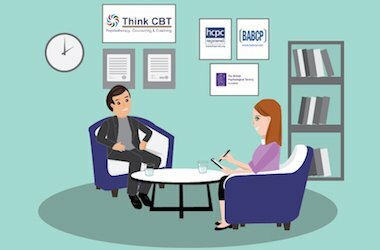 CBT is endorsed by the Department of Health, National Institute of Health and Clinical Excellence (NICE), British Psychological Society, Royal College of Psychiatrists, Royal College of General Practitioners and the UK Council for Psychotherapy (UKCP). To find out more about how CBT can help you, your clients or your employees, contact Think CBT today to organise a free consultation with one of our Cognitive Behavioural Therapy experts. You can also visit our Client Feedback page to see real examples of how CBT has worked in practice. 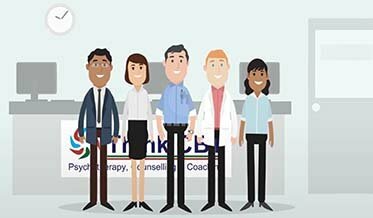 Call us on 01732 808 626 or email us at info@thinkcbt.com. Immediate access to confidential, professional and independent CBT without unnecessary red-tape or lengthy waiting lists. Only providing fully qualified BABCP Accredited psychotherapists rather than unqualified counsellors or trainees. Delivering therapy over extended sessions, at times to suit the client and with the flexibility of evening and weekend appointments. Providing continuous confidential support throughout the CBT process, with direct access to telephone, SKYPE and email follow-up. Integrating the latest CBT techniques based on cutting edge research and the specific needs of the individual client. Using modern methods from new CBT models including ACT, CFT, DBT and MBCT. Producing a free initial assessment report and lapse prevention plan at the end of therapy. Providing access to catch-up calls and email support following the completion of therapy. Take a free confidential psychological assessment. The Stress, Anxiety & Depression Inventory provides a quick, simple and confidential self-assessment that you can take online, without the need to provide personal information. This could provide you with a helpful insight into the nature of your problem and the factors that keep it going. You can also explore our extensive library of free psychological assessments by clicking on the assessments button at the top of this page. These self-assessments provide clinicians and clients with a helpful resource and can be taken without registering or providing personal information. Think CBT is registered with the Office of the Information Commissioner for the purposes of data protection. Our use of your personal data is strictly managed in accordance with the General Data Protection Regulations (GDPR). This means that we will only collect and retain personal information directly relevant to your therapy or to allow us to contact you (generally by phone or email) for appointment confirmations or follow-up. We will not share your data with any third-party organisations or businesses for the purposes of research, marketing or sales. You can read our full privacy notice by visiting Our Privacy Notice.